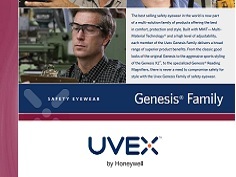 Not all employees require prescription eyewear which is why we offer a selection of non-prescription plano safety eyewear from leading manufacturers such as Uvex and North. 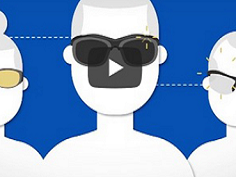 Today’s plano eyewear is both functional and comfortable while meeting all applicable standards for protection. With the buying power of our parent company, Levitt-Safety, we have the selection and pricing you demand with a new ‘guaranteed in stock’ program. The Genesis® provides a dual 9-base ‘wrap-around’ lens that provides uncompromised peripheral vision and protection. The soft, flexible fingers adjust and conform to any nasal profile and minimize the possibility of slippage off the nose bridge. The Uvex XC protective eyewear is designed with more of an extended wrap-around lens for up to 20% extra cheek and extra side coverage. Depending on your need and purpose, there are a variety of replacement lens options, and the design now has specifically designed Rx lens inserts that hold Rx lenses firmly in place. 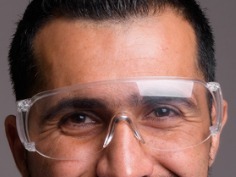 For non-prescription plano safety eyewear, please contact Levitt-Safety customer service directly at 1.888.453.8488.